A SINN FÉIN councillor in Cork has resigned from the party in the wake of the controversy over bullying in the Cork East constituency organisation. Fermoy-based June Murphy resigned her membership of the party last night, saying she had found her time in Sinn Féin to be “an increasingly negative experience”. TheJournal.ie understands that her resignation is related to Sinn Féin’s decision to readmit councillor Melissa Mullane to the party earlier this month after she had earlier been handed a 12-month suspension for “uncomradely behaviour”. “I have participated wholeheartedly in all party efforts to resolve the aforementioned issues,” Murphy said in a statement this morning. However, I have now got to the point where I hold no hope of this experience improving in the foreseeable future and it is for that reason that I have taken the decision to leave the party. The first-time councillor said the decision had not been taken lightly and had been done “after many months of soul searching”. Sinn Féin claimed the resignation was not related to any political or policy differences with the party and said it was sorry to see her go. The party has asked Murphy to resign her council seat, but she said she would continue as an independent councillor. 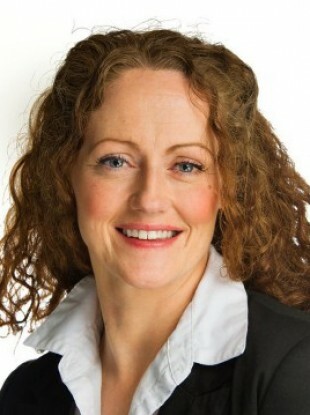 “June Murphy is a very hard working councillor and public representative. We are very sorry to see her go. It is important to note that Cllr Murphy’s resignation is not a result of any political or policy differences with the party,” Sinn Féin said. Sinn Féin’s Cork East organisation has been plunged into crisis in recent months after allegations of bullying against the sitting TD Sandra McLellan. Mullane and councillor Kieran McCarthy, who has been expelled from Sinn Féin over the controversy, were both found to have been “uncomradely” towards McLellan and her allies in an internal review. Murphy is understood to have been a close allay of McLellan’s in the party. The confidential internal probe, chaired by Cork North Central TD Jonathan O’Brien, found that Mullane had intentionally undermined and marginalised McLellan. McCarthy was expelled from the party over allegations of bullying against McLellan and alleged financial irregularities within the Cobh cumann. Background: What on earth is going on with Sinn Féin in Cork East? Email “'An increasingly negative experience' forces Sinn Féin councillor to resign”. Feedback on “'An increasingly negative experience' forces Sinn Féin councillor to resign”.